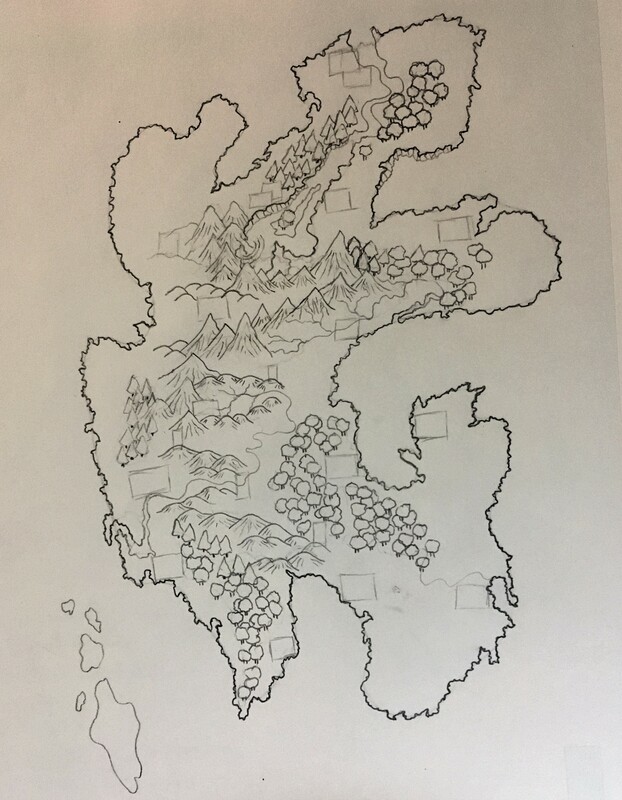 I am still working on drawing fantasy cartography maps (is cartography and maps redundant? ), but not as diligently as earlier this year. I’ve been distracted with traveling and running D&D games and all the other stuff that takes up one’s day. And there’s this game on my phone … man, is it a time sink! But to prove that I’ve been doing something, even if I have been ignoring my blog, I’m including a couple of in-progress sketches in the early stages of creation. 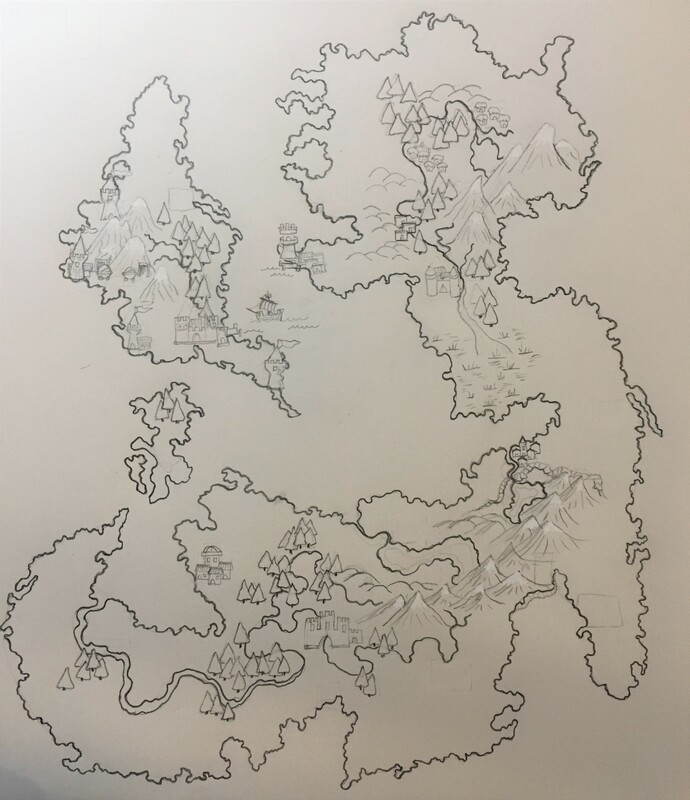 These map doodles are currently without names. Ideas are welcome. I don’t have a name for this on yet. Any suggestions? I like the cliffs on this one. No name for this one yet, either. Open to ideas. Like those map names. Giving me some ideas! If not here, I might steal those for NPC names in my game.